In recent months there have been some updates and changes in some areas of Early Help including training, staffing, audits and an Early Help Strategy review. Please take time to read this to update on developments. Over recent months there has been a series of meetings and presentations as part of a review and refresh of the Early Help Strategy. This will not impact on Early Help Services or how Early Help Assessments are coordinated in the immediate future but is part of the ongoing development of the Early Help offer in Cumbria. An update on this will be shared as part of the Better Together Roadshows in January 2018. We have a new Early Help Officer (EHO) in the South of the County covering South Lakes and Barrow to replace Ann Downe who retired earlier in the year. Maggie Williams has joined us and is already busy making contacts across her district. Maggie is contactable on Ann's old number 07768 753541 or Margaret.williams@cumbria.gov.uk. The contact details for all EHO's across the county are on the Early Help pages of the LSCB website. Following feedback from practitioners and from some messages from audit, we have developed a new training session. This now incorporates how to write an Early Help Assessment (EHA), and guidance on how to plan and coordinate a Team Around the Family (TAF) meeting. Sessions now run for a whole day rather than a half day and have been rolled out across the county. Training dates are published on the LSCB website. Feedback has been really positive. Here are some extracts from training in September 2017 in the West of the County. "Could we have a print out of the PowerPoint please? I want to put early help on all my meeting agendas - this day has brought it all to life for me"
"Today has made so much sense" I had done Early Help training in my previous job and didn't use it but that was twilight sessions - doing a full day is much better, it flows well"
"Best days training I have been on in a long time! Knowledgeable and confident facilitator, who was able to adapt without the use of I.T, but backed up with good use of role play - very thought provoking"
If you completed the original training and would benefit from a refresher, just book on - in particular to take advantage of the section of coordinating a TAF. Ros Rowcroft who has responsibility for audit and data analyses will have been in touch with some frontline staff requesting EHA's as part of her monthly audit process. This allows us to identify areas that we need to include in training and provides a balance of feedback to frontline staff completing the process. Remember to complete and register any EHA, Change of Coordinator and Closure of an Early Help episode using the forms on the LSCB website. All are equally as important as the other in the process of keeping information up to date on the system. This can improve the speed of the response to a family if we know if there is an assessment in place already. 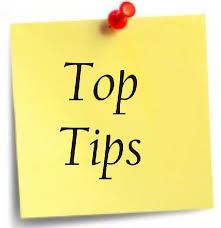 If you are unsure about any of the above, look on the Early Help pages of the LSCB website for some of the Top Tips, or for details on how to contact your local EHO. 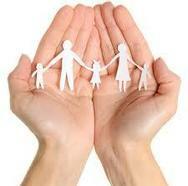 Early Help and Family Support Panels are running across the county in the six districts. If you are struggling to identify a coordinator for a TAF or a plan is drifting or appears not to be making any progress in addressing the identified needs, speak to your local EHO to decide whether it would be appropriate to refer to the local panel. This will require the family's consent. There are still a high number of referrals going in to the Safeguarding Hub that could have been resolved by referral to panel. If you refer in to the Safeguarding Hub in the future - they will ask if it has been to the panel. So do speak to your local EHO about this. Information on the panels can be found on the LSCB website. 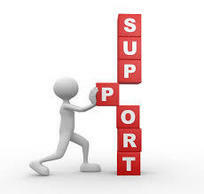 Finally, as above - if you have any problems in forming a TAF, completing an EHA, creating a Plan or engaging a family who would benefit from an assessment, go to the Early Help pages of the LSCB website or contact your local EHO, they are there to offer support.